Welcome Aboard .. At Universal Jet, Time is on your side! Universal Jet will get you to any destination; on time. We proudly offer 24/7 – 365 to all of our clients. Looking for a one time Private Flight / Jet Charter Flight? Then look no further Ujet is here to help you with your jet charter needs whenever and wherever you need it. We are available 24/7 to provide you with private flight solutions for your private jet charter flights. Universal Jet is the Global Leader in the private aviation industry since 1995. We have been the charter choice of Captains and Leaders of Industry as well as Hollywood’s most demanding personalities. 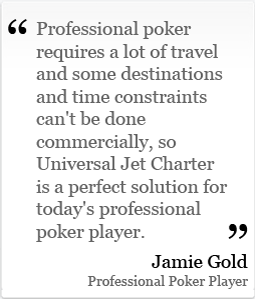 Enjoy the Seamless, Turnkey On-Demand charter service that Universal Jet provides from anywhere to anywhere. Our Team of experienced Aviators are here to assist you and your travel needs from mission start to mission finish by providing the highest level of service and support. 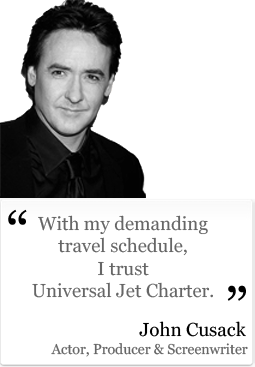 Universal Jet is by far the Best Jet Charter Company with our Signature Best Price Guarantee for all our travelers. Whether, you fly weekly for business, or just one time a year for the Holidays. Universal Jet has you covered with the best aircraft at the best price, Guaranteed. Often, we are asked the big question in private aviation “what’s better … Charter or Fractional”? This is a great question and probably best answered by some of our clients. In these challenging economic times even the smallest companies are getting an edge on the competition by chartering private jets for their business travel. If you need to visit customers, plants, prospects or generate new business opportunities and still have time to keep your business running at top form, a business jet charter is the tool of choice. Private flight has never been as attractive to the business climate then it is now. Global leader in Private Aviation/Jet Charter, Universal Jet, announces Universal Jet ‘s CulinAir-a new flight initiative created to serve culinary travelers, culinary professionals, top food personalities and the charitable causes they support. “The Mario Batali Foundation with the mission to Feed, Protect , Educate and Empower Children is doing great work and has a fantastic ambassador in Chef Batali. I along with everyone at Universal Jet look forward to helping to raise awareness and funds for this important cause” said Christian Matteis CEO of Universal Jet Charter. 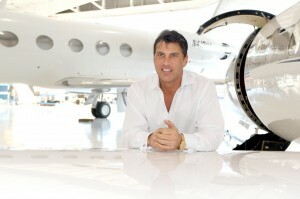 Universal Jet Under The Executive Direction Of Inc 500 Winner CEO Christian Matteis. On behalf of the entire Fly Ujet Team, we are delighted to have you aboard. Fly Ujet strives to excel in customer satisfaction by providing you with friendly and sincere personal service. Whether you are a frequent flier or a casual one, Fly Ujet provides a unique travel experience. I hope your flight is enjoyable and a memorable one. Our in flight amenities include catering to suite any taste, ground transportation, The U Spa and many more. Whether you’re travelling a short one-way trip on a light jet or flying a multi-leg international flight on a large business jet, we are here to serve you 24hrs a day, 7 days a week. 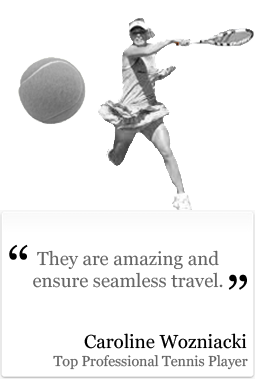 Your comments are highly regarded and help us to achieve our goal of 100% client satisfaction on each and every flight. Should you have any questions or a particular request, please do not hesitate to contact our staff. It’s always our pleasure to be of assistance. Our objective to not only meet, but exceed your expectations during your flight. Private Jet Charter And Executive Jet Charter Globally Leading In The Aviation Industry. Plan Your Trip Now With Our Instant Charter Quotes!